March – To Be Read, Listened and Watched..
Well, last month flew by didn’t it? A third of the way through the year, the weather began to finally look up slightly – and then down again, having experienced nothing but rain so far this April – and illnesses meant that I had a little more spare time to watch, listen and read, which in itself was wonderful. 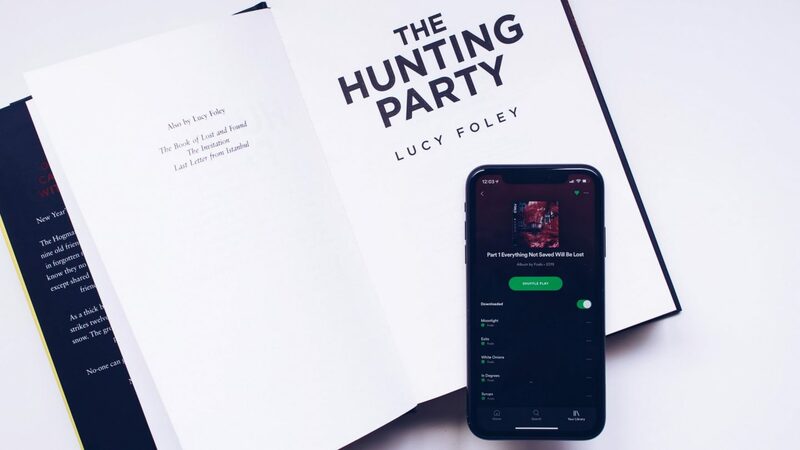 March was filled with lots of new discoveries – series’ that I just had to binge, books that I actually finished, and albums that I adored..
To Be Read – The Hunting Party by Lucy Foley..
PSA. Asda and Sainsbury’s are bloody fab for picking up books relatively cheaply. I always have a little wander round their – admittedly very small, but well priced – book sections, and this caught my eye straight away. Maybe it was the garish yellow cover, or the mention of ‘my city’, Oxford. Although I’m pretty awful for picking up books and putting them on my TBR shelf, destined to gain dust for all eternity, I thought that for a fiver, nothing ventured, nothing gained. I decided to have a quick read through the first pages on the bus home, and was instantly hooked. Having to put it down while I got off the bus and put away the food shopping when I got home was a little heartbreaking actually, as silly as that may sound. That’s got to be a testimony for just how gripping the plot is though, right? The story follows a group of university friends that gather for New Years – as per tradition – but something just doesn’t sit right between them as a group. As the weather takes a turn for the worst, and they end up snowed in and stranded in their remote retreat, secrets begin to unfold and things take a pretty deadly turn for the worst. I really enjoyed the plot, surprises and secrets unfurling along the way, and how the story was told through different characters, but I was a little disappointed at how rushed the ending felt. I thought that chapter after chapter fed so well into the plot, the story told so well, and then suddenly, it was all over – not that it ended badly, I just wanted more of it. Whether that’s a reflection of the book itself or because I read it in a matter of hours, whether that’s yet another testament for its greatness – the fact I wanted it to carry on, that I didn’t want it to end – is up to you to decide, but ultimately, I would definitely recommend you make the decision yourself. To Be Listened – Part 1 Everything Not Saved Will Be Lost by Foals, Wasteland, Baby! by Hozier..
Foals have had a pretty special place in my heart since Tumblr, Spanish Sahara, Olympic Airways era, almost ten years ago now, which is a little painful to admit to myself. Their newest release, Part 1 Everything Not Saved Will Be Lost, has been on repeat since it was released, and is yet another diverse collection of songs that all bear that now typical sound – which to say feels almost like juxtaposition – that we associate with Foals. Tracks such as On The Luna and White Onions present up-tempo riffs and lively vocals, while others such as the piano-filled, I’m Done With The World (& It’s Done With Me) show a much more placid side to the band. I, for one, am certainly very excited for Part 2 of the album to be released, to see exactly what else Foals have in store for us all. Although a little heartbroken that Hozier made us wait for almost five years for a brand new album, he absolutely did not disappoint with Wasteland, Baby! Not a single song on the entire album disappoints, in fact. All fourteen songs are filled with gritty guitars, alongside his passionate voice and the powerful lyrics we now associate, and even the appearance of a gospel choir in To Noise Making (Sing). The album is a collection of greatness in every way, and an incredible follow up to its self-titled predecessor that I love just as much..
To Be Watched – Queer Eye Season 3, Santa Clarita Diet..
Queer Eye just warms my heart in a way that nothing else physically can, it’s made my hormonal, pregnant self a blubbering mess more than the few times I care to admit, and the new season is absolutely no different. Episode 3 Jones’ Bar-B-Q was so sweet to watch, and having seen updates on the pair all over social media since, it’s just incredible to see how much of a long lasting and life changing difference the boys actually make on the show. A must watch, from the beginning if you’ve never seen it before, a perfect little mid-week pick-me-up..
And on the complete opposite side of the spectrum, we have the Santa Clarita Diet! I was super excited when I spotted the release of the third season, but my boyfriend hadn’t seen the first or second, so we started the series together instead, and I’ve enjoyed rewatching the series just as much as I enjoyed it the first time around. Joel’s uncontrollable swearing, Sheila’s sense of humour, Abby’s character in general – it’s a super enjoyable, easy watch that we’ve both loved and I can’t wait to finally get round to the newest season when we’ve both caught up..
Here’s to another month of exciting discoveries – Sleep by CL Taylor is on my to-be read list this month, and there are a number of exciting new Netflix releases that I can’t wait to get my teeth into throughout April..
What did you enjoy throughout March? Are there any books, series’ or albums you’d recommend? "And Then A Baby – A Dreamy Newborn Baby Wishlist.."